All homes currently listed for sale in the zip code 78015 as of 04/20/2019 are shown below. You can change the search criteria at any time by pressing the 'Change Search' button below. 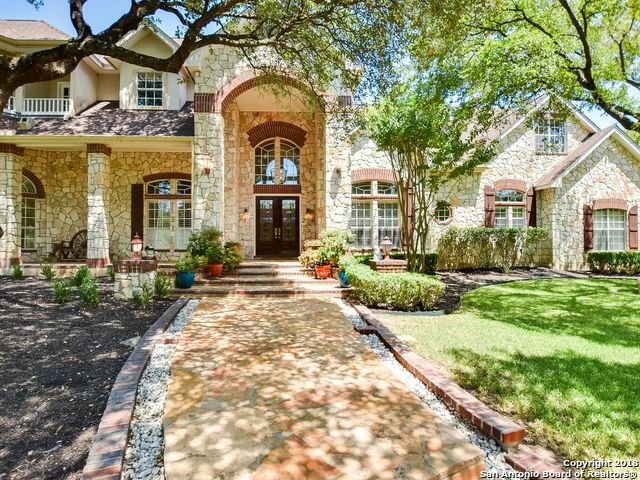 "Private gated 26 +acre estate with winding driveway through beautiful trees and arrival at this uniquely designed transitional home with contemporary flair.Travertine flooring, custom cabinetry,Fireplaces in living, master suite and outdoor patio, Kitchen has Palmer Todd cabinets, enormous island, gas cooking.Master suite w/ sitting area overlooking pool/patio areas, luxurious bath w/steam shower. 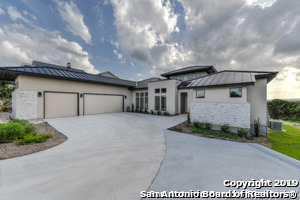 Guest bed/bath downstairs and 2 bed + game room up.Guest House 1579 sq ft.CIBOLO CREEK FRONTAGE." 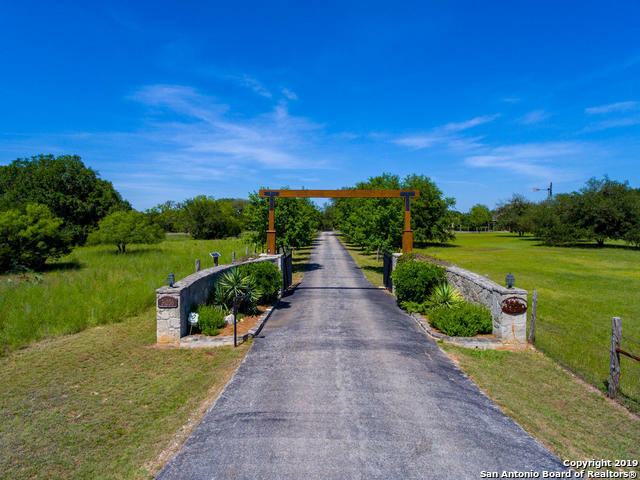 "Gated, 5 acre ranch off Cascade Caverns Road near IH-10. 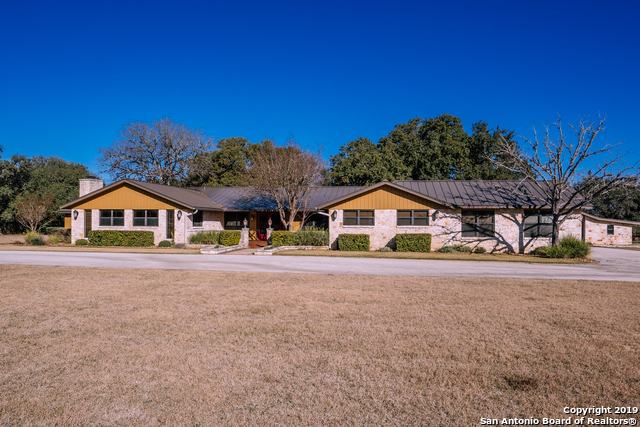 Convenient location to Boerne schools, Geneva School and San Antonio. Fully renovated, immaculate, single story home with detached garage and fenced area for horses/animals. Hardwood floors, interior stone/masonry, built-ins. Home currently decorated as an office, any remaining furniture negotiable. Large circular drive. 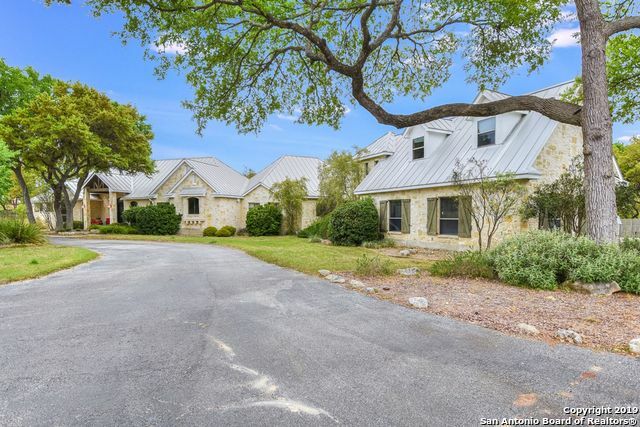 This is a fast growing area of Boerne - do not miss this investment opportunity!" 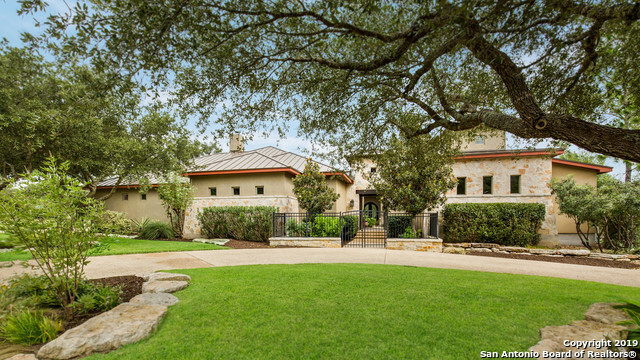 "Escape to your own Hill Country retreat. 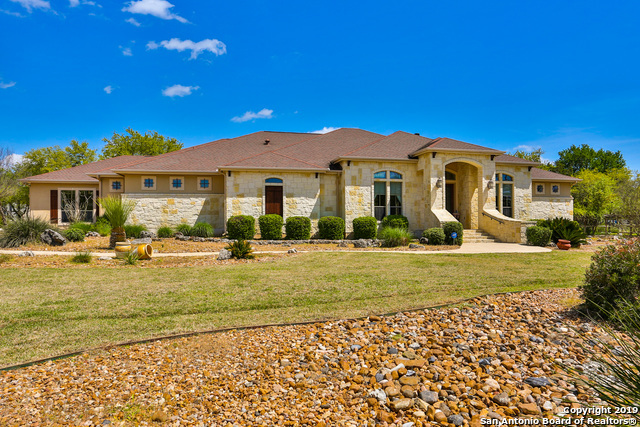 Custom home, 6 BR, 5BA w/ MBR & 3 BRs on main level. Gourmet kitchen that flows into the family rm w/massive island, SS app w/SubZero . MBR suite w/ huge walk-in shower, spa, & WI closets. Guests will love their own suite and the other 4 bedrooms offer ample space. Media room, exercise room w/ world-class sauna. 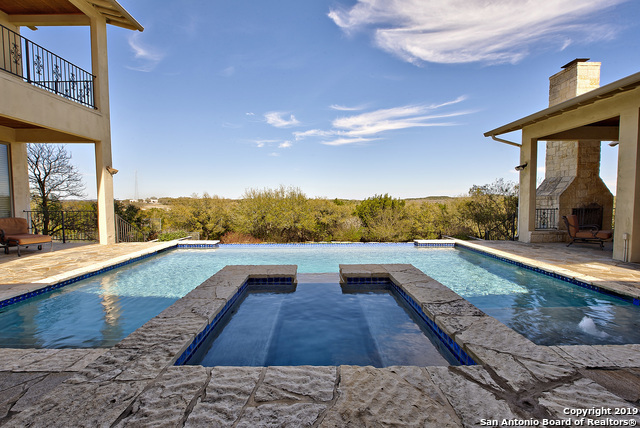 Outdoor living space w/stone FP and kitchen area overlooking the custom pool & spa. Guest house w/FP. Energy efficient construction. Exemplary Bo"
"NEW PRICE! 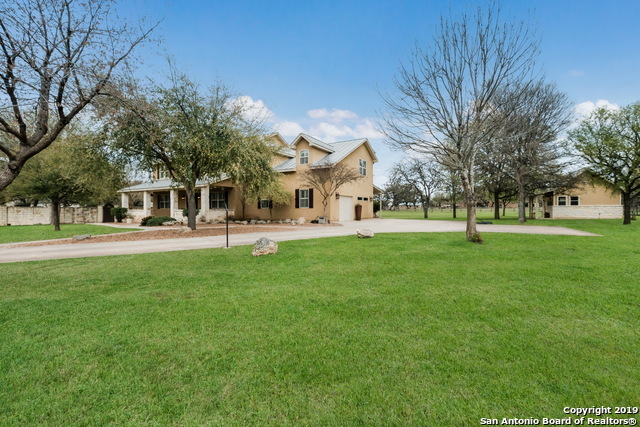 10+acre Hill Country Estate minutes from I-10! $5K bonus to selling agent. Seller to pay $15K to buyers closing costs. 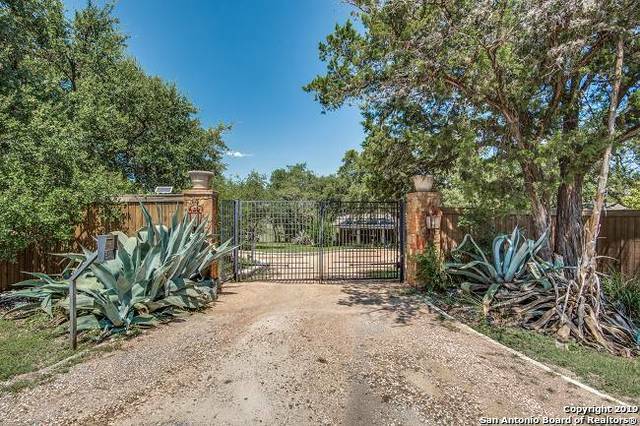 Gated property complete w cross fencing,riding arena,multiple paddocks,& 6 stall horse barn. Minimal restrictions! 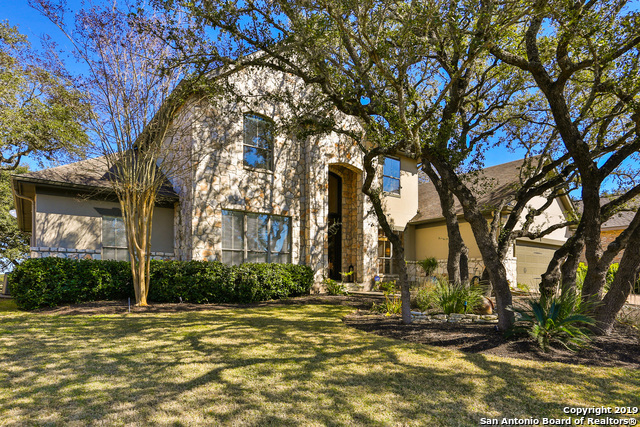 Guest home overlooks pool & outdoor fire pit.This multi-level home offers downstairs study & master suite w/ sitting area, double closets, spa shower, & tub. Living Rm. w/ high ceilings & fireplace opens to eating area & gourmet kitchen. 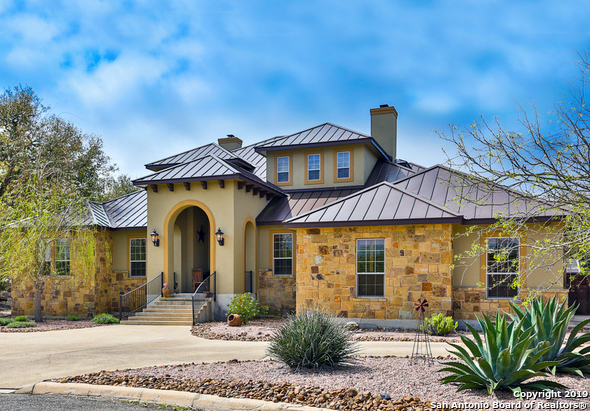 2 LA, game rm, & "
"Luxurious resort style living in the Hill Country close to downtown Boerne. 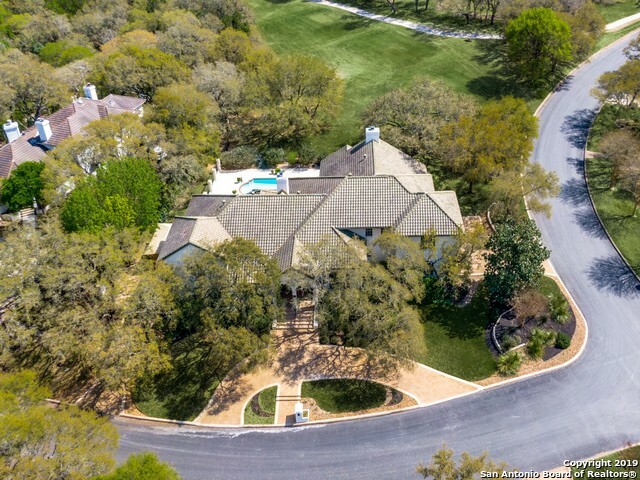 This 7 acre estate offers an amazing pool, playground & V Ball court while being horse/animal friendly w/seasonal creek in back & detached guest house! 4 bed, 3.5 bath w/master sitting room, office, Jack n Jill bath up,2 master suites dn, & 3 fire places. 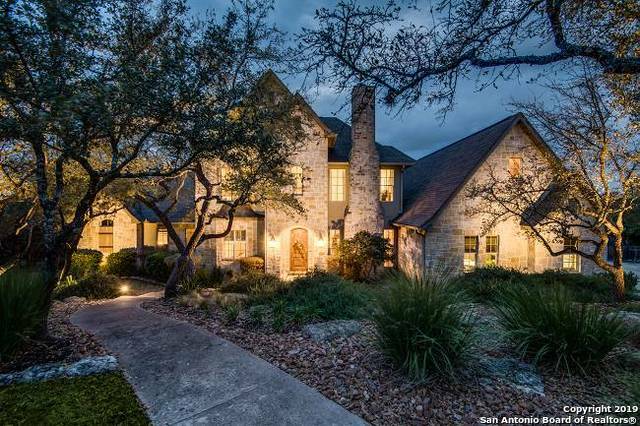 Beautifully remodeled down to include custom tile work, claw foot bath tub, granite, GE Profile appliances & soaring exposed beams ceilings.3 car garage w/4 car deta"
"Beautifully designed luxury home in Deer Meadow Estates! Enter into the inviting courtyard designed for privacy & entertaining and a casita with full bath! Sprawling one story with room for everyone! Large master suite with SPA bath and huge closets! Large living areas, wet bar, wine room, formal dining, chef's kitchen with island and breakfast bar, huge laundry room. 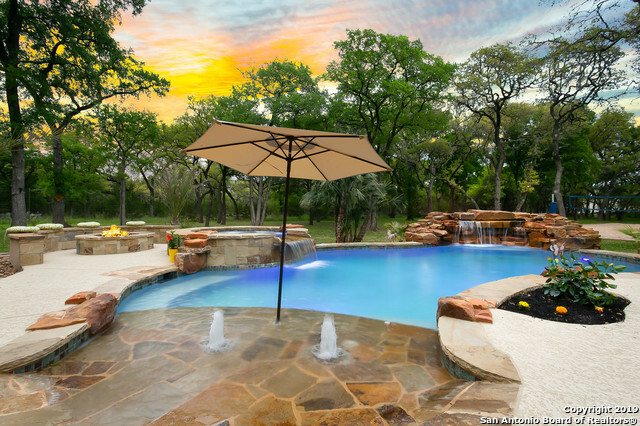 The back yard has it all, pool, hot tub, outdoor shower and playhouse!" 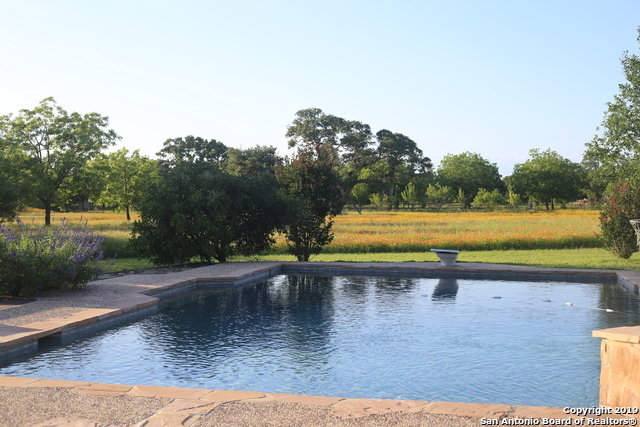 "This property has 4 acres w/3 houses on it. All are currently rented w/a gross annual income of $69,000. It was originally a family compound w/the main house being the owner's & one being for his children & the other was his office. The main house has 2772 sq. ft & 1920 sq. ft on the second. The office was converted into a 3 bedroom home recently, approx. 1800 sq. ft & can be changed back into an office if needed. There is approx. 2 acres of undeveloped land that could be used for more homes or "
"Stunning home on 1 acre backing to greenbelt. There are wide planked scraped wood floors throughout, a gourmet kitchen which opens into the lrg family rm w/beamed & vaulted ceilings & a tall stacked stone fireplace. Downstairs master retreat has attached office, whirlpool, steam shower, 2 walk in closets. Three bedrooms up plus game room and exercise room. French doors open to a lrg & charming outdoor porch/living area w/a stone fireplace overlooking a resort-like backyard w/a new pool & spa." 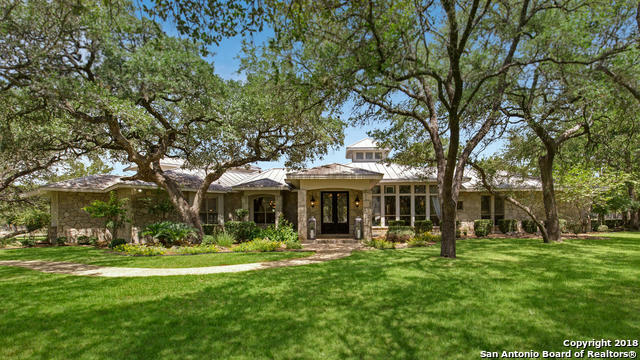 "Beautiful Hill Country Estate on 5 oak studded acres awaits you behind a private gate! Gorgeous updated kitchen with quartz countertops, Carrara backsplash plus new fixtures giving this home a Restoration Hardware feel. Grand living with fireplace & wood beams + central bar area flows into dining, kitchen, breakfast and opens to the back covered patio. Luxurious downstairs Master Suite boasts true spa bath. Gameroom + private suite up. Fenced and Cross-fenced this property is ideal for the anima"
"FRENCH CONTEMPORARY RETREAT WITH CAPTIVATING CLEAN LINES AND SOARING CEILINGS. RELAX IN THE SECURITY OF EXCLUSIVE ANAQUA SPRINGS RANCH, AS YOU SIT TUCKED AWAY ON A CORNER LOT OVERLOOKING A GREENBELT. BRILLIANTLY APPOINTED FRAMELESS CABINETRY, GRANITE COUNTERS, STAINLESS APPLIANCES,SLEEK FLOORING,EURO STYLE LIGHTING, BUTLERS WET BAR,OUTDOOR KITCHEN,COMPLETE WITH A UTILITY ROOM DOGGY WASH. STORE FRONT GLASS AND DOUBLE SIDED FIREPLACES. HUGE CLOSET AND SPA LIKE MASTER BATH"